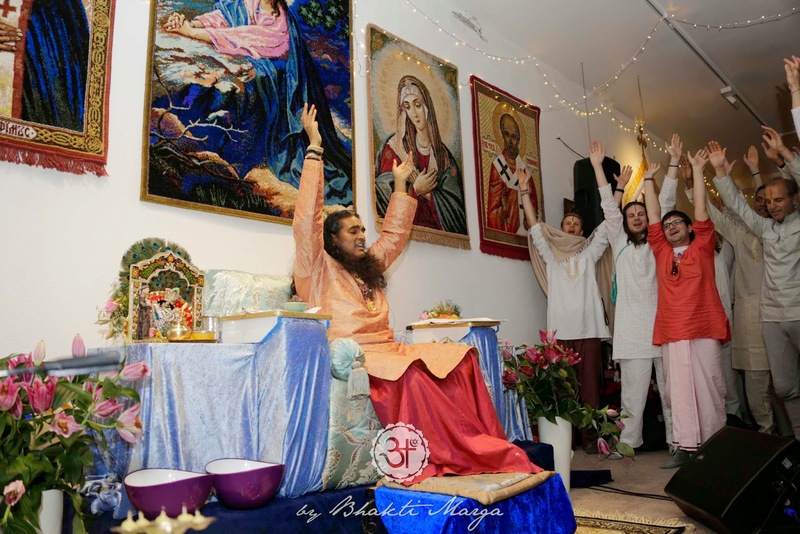 Since the 26th until the 28 December, at Shree Peetha Nilaya, Sri Swami Vishwananda graced us with a priceless Christmas Divine Gift: four consecutive Darshans. This year, around 800 people came for Darshan. 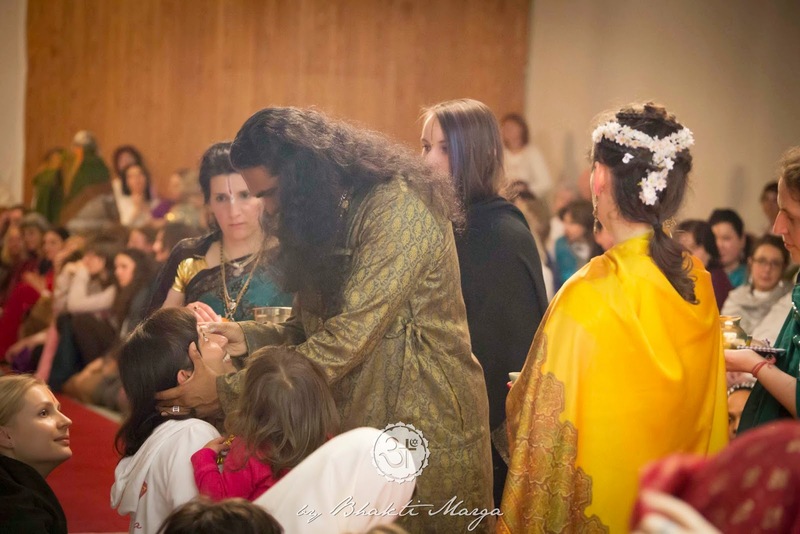 Back in 2011, on the 27th December, Swamiji surprised us with the announcement that He would give Darshan every day until the 30th of December. 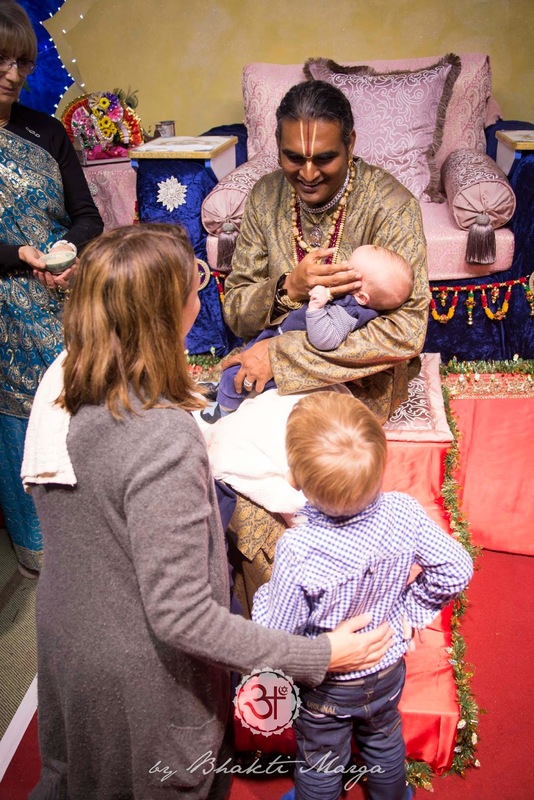 At that time, people were caught by surprise, so only approximately 100 people received this priceless Christmas Divine Gift from Sri Swami Vishwananda. It's an amazing opportunity to let go of the "useless old" and to get ready for the change, embracing a "new life" which will unfolded along the coming year. 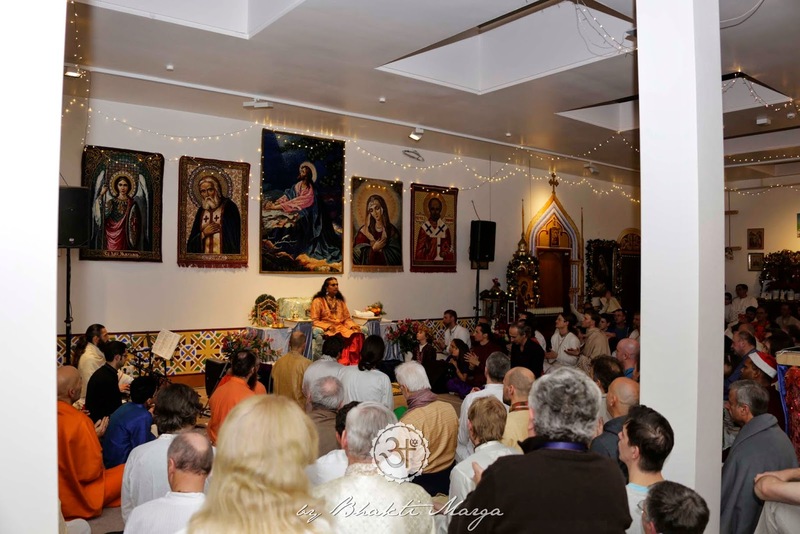 Since then, these daily Darshans between Christmas and New Year have been scheduled in advance and every year, more and more people organise their lives to be present at Shree Peetha Nilaya during this special time. 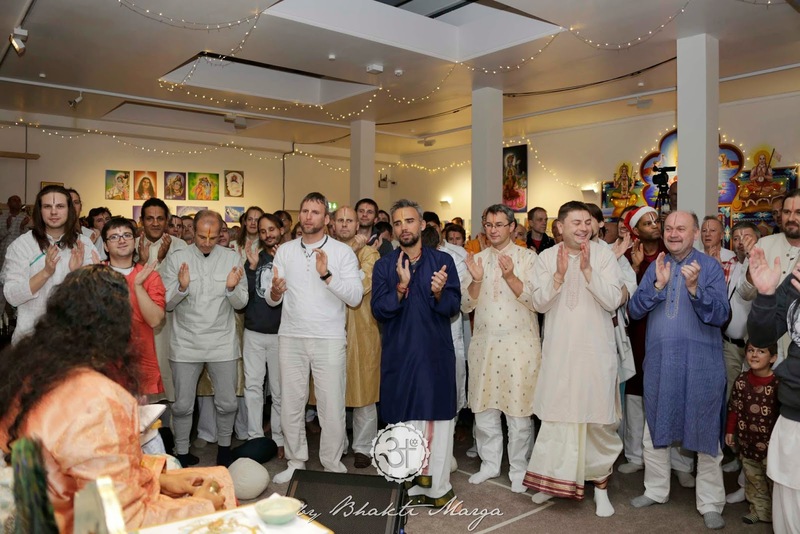 Since last year, the number of people exceeded the events halls capacities at Shree Peetha Nilaya, so in order to support the events organization team and at the same time to accommodate all, Sri Swami Vishwananda decided to give Darshan to man and woman separately in different days. 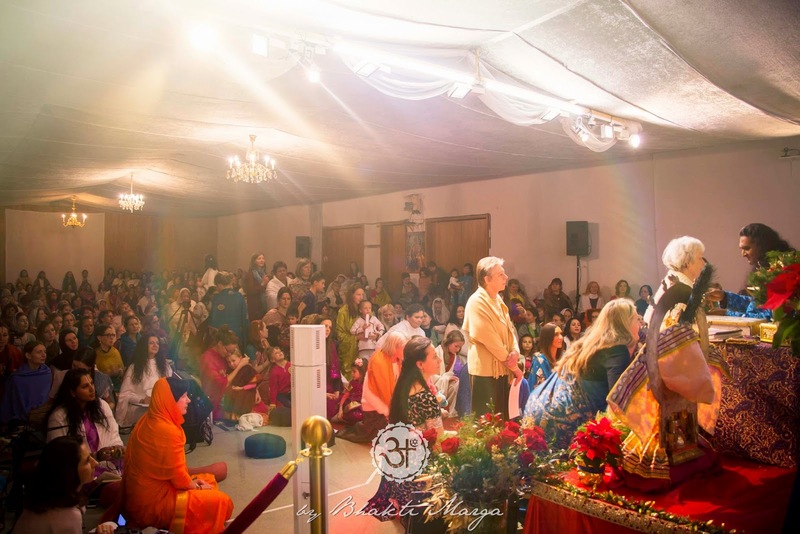 This year, it was schedule Darshan for women on the 27th and the 29th in the big Darshan Hall (approximately 550 women plus children), and Darshan for men on the 28th and the 30th in the Light Hall (approximately 250 men plus children). 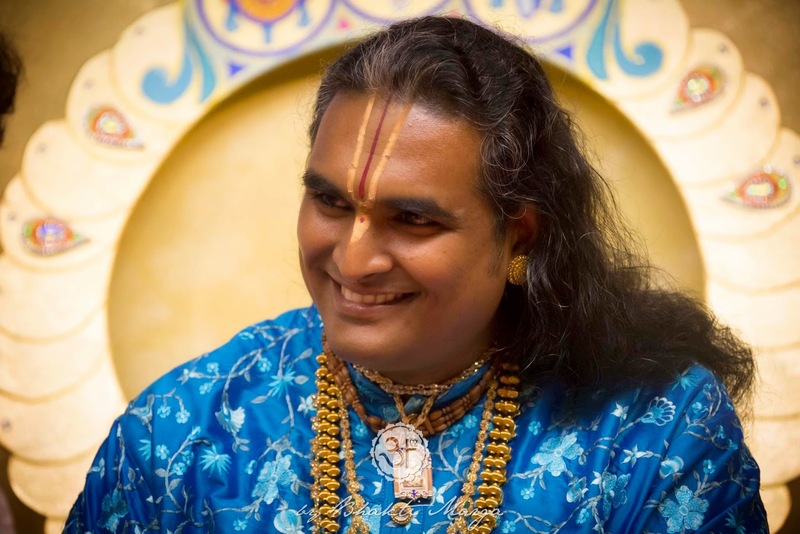 The four Darshans were available on livestream, so both men and women were given an opportunity to assist every Sri Swami Vishwananda individual Darshan from beginning till the end being projected on a big screen in the respective allocated halls. 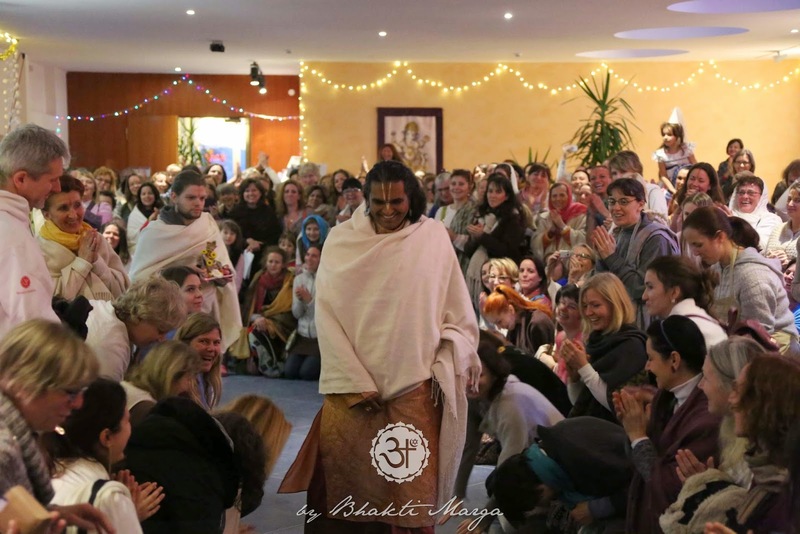 On the 28th and the 30th, just before Sri Swami Vishwananda entered the Light Hall, where all men were gathered waiting for Him, the women grouped naturally together filling up the lobby, without any previous organization, welcoming Swamiji by chanting “Narayana, Narayana” and clapping while He was passing by. At the end of Darshan, after arati, it happened the same. 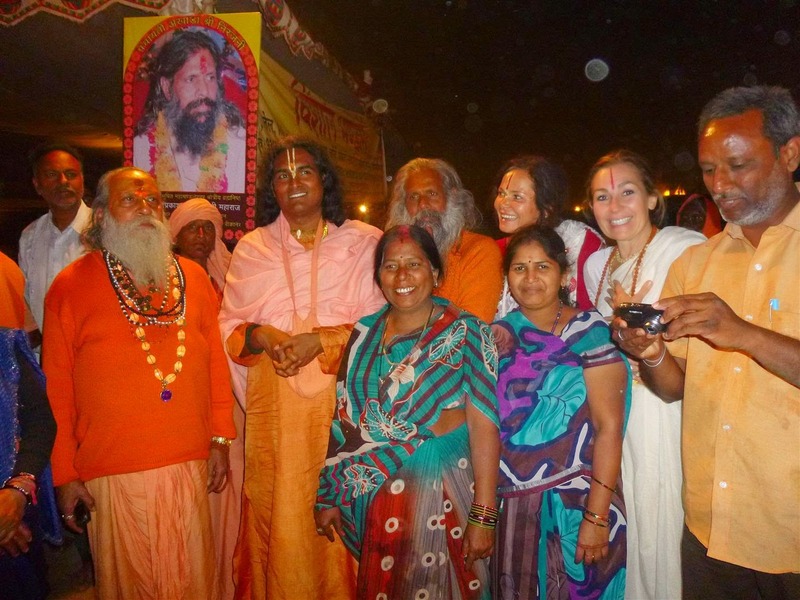 It was amazing to see this spontaneous women unity greeting Sri Swami Vishwananda! 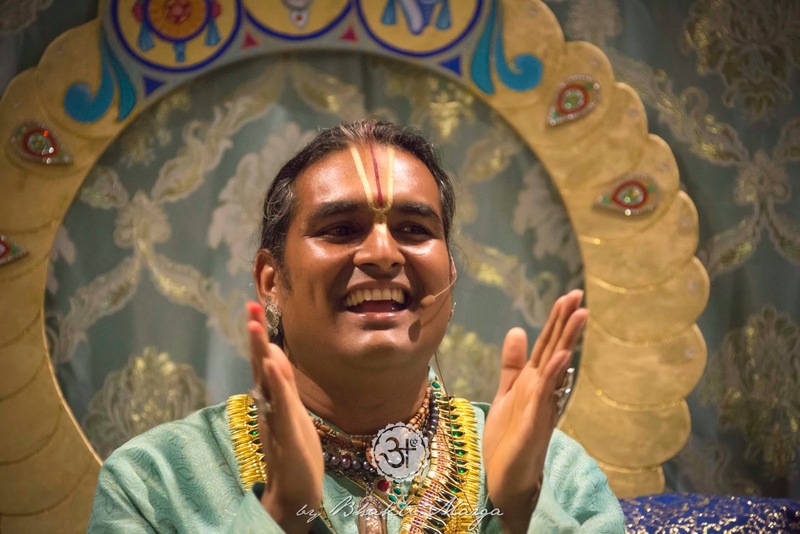 On the other hand, men seemed to be strongly connected while singing and dancing during Sri Swami Vishwananda Darshans. 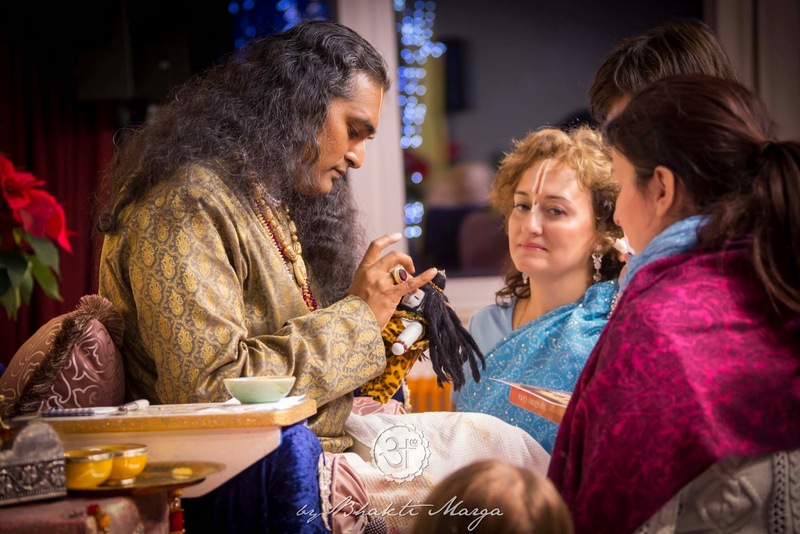 Every day, since Christmas Sri Swami Vishwananda has been supporting His devotees also by giving group Satsangs (by country or language) and some private interviews. The true meaning of surrender to the God/Guru can't be explained by words, it can only be experienced, so among the experiences shared during these four Darshans we have selected the one below which is a testimony of surrendering to the Guru. 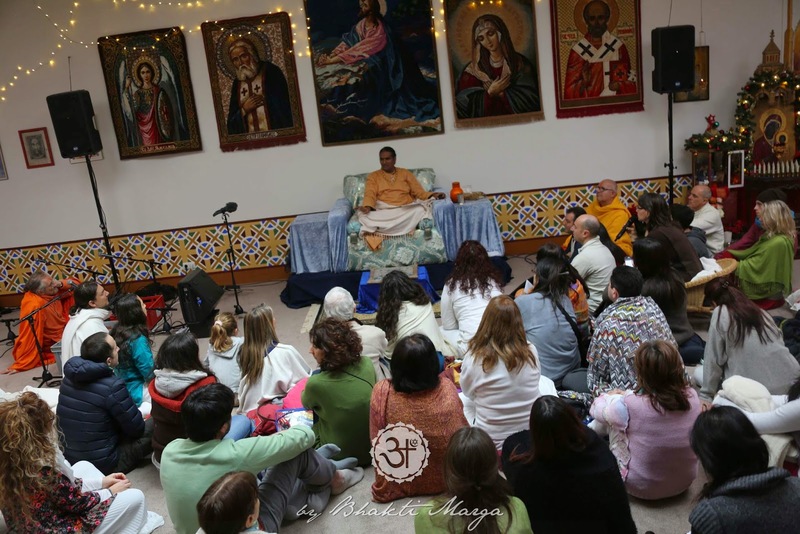 "Yesterday we had a satsang with Swami Vishwavijayananda about the Guru Gita. If you are interested in the Guru Gita, you can buy it in the Bhakti Marga shop now. So, it is very good to read the Guru Gita and it was very nice to be with Swami Vishwavijayananda talking about surrender. Not that I am an expert in surrender but sometimes life creates situations where you have an experience of surrender. 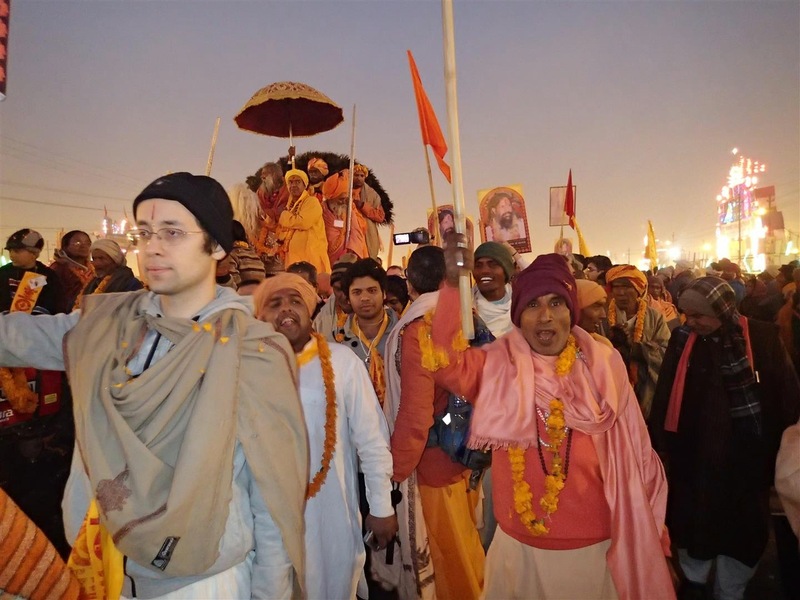 I was very blessed to be part of the pilgrimage group that in 2013 was in Kumbh Mela, at Allahabad. 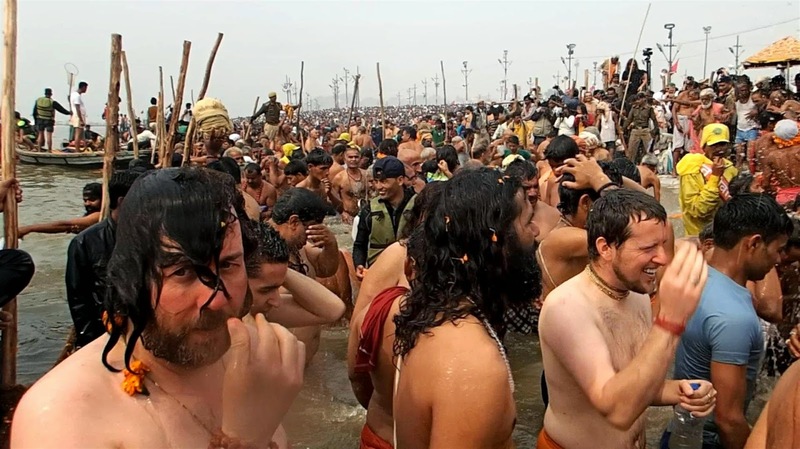 I am sure many of you have already heard about our experiences during the Kumbh Mela 2013. The goal was to be part of the group going into the water, where the rivers Yamuna and Ganga flow together, the Sangam, [Guruji says, ‘And the Saraswati also’] And Saraswati also, yes, but Saraswati you don't see... [Guruji says in a joyful way, ‘You see! It's underneath, you don't see it up’] Maybe some people see it, I didn't see! [Kalavati laughs and audience burst out laughing] I belong to the people who don't see these things. So, we knew our goal: to get at a certain point of time into the water and go down three times like when you get baptised. It sounds like an easy goal but if there are 70 or 100 million people... we were a little bit concern how we would get there; maybe you get there but you surely might be out of the place... so I was a bit scared. We started at night, at 1 o'clock in the morning and it was cold. If there are so many people there, you can't take off your shoes, take your time, make sure that you wear a swimming suit and all these things. No! You're dressed on a sari and you run! And all you want is to be in there, out there, and then you walk back wet, barefoot. And we had to walk about 8 Km one way. It was just a long path in the night and it was cold. 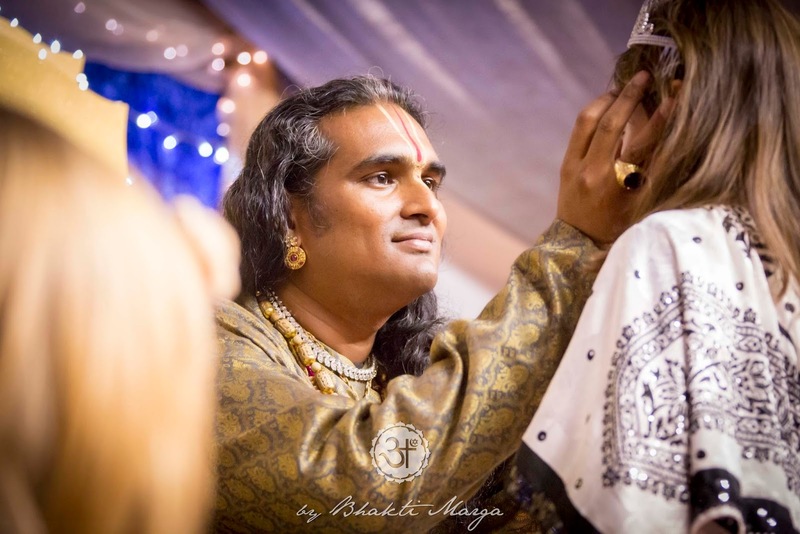 But Guruji (Sri Swami Vishwananda) was going really fast. I didn't know that He could walk that fast! [Guruji says laughing, ‘She says that because I am big, that's why.’ Kalavati and audience burst out laughing] It was fun! 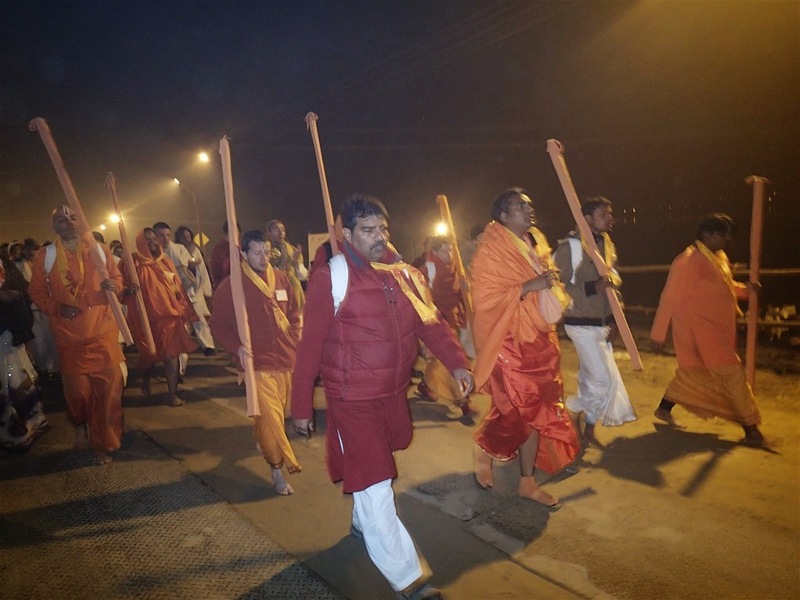 We had the drums, the group was singing and we stop at the place, where there was another Guru (Mahamandaleshwara Swami Chitprakashanand Giriji Maharaj). Oh, I can't compete with that! [Kalavati stopped talking for a few minutes] Shall I go on? So, what happened was that our group was going with Guruji and finally I saw Him on the top of a big car. So we were squeezed and all I did it was to try to see where my Guru was, because I felt that if I would lose Him, if I lose the group, I would be lost among 70 million people. ...when we came out of the water we had some prasad somewhere and from then on we slowly went back. When I was back in the tent everything hurt, my feet hurt, I was hungry, I was sleepy, I was complaining, I was like... we are all the time. 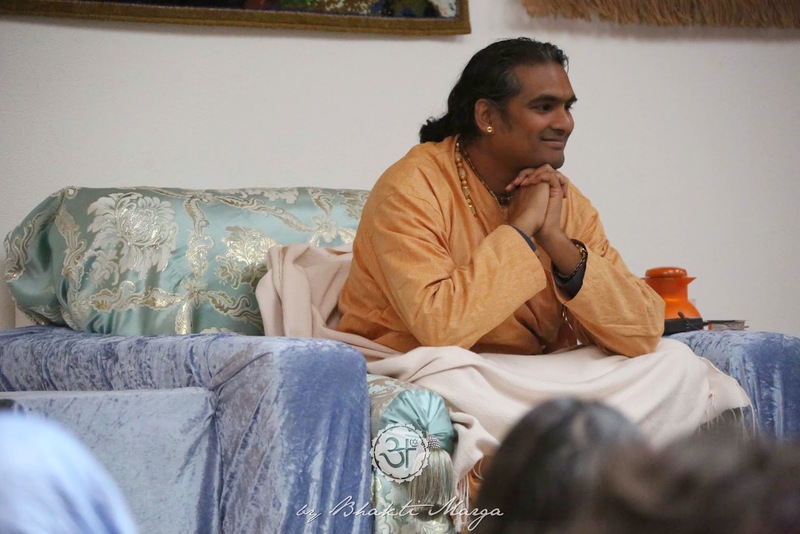 And that taught me that when we are completely focused on our Guru, when we know what we want, when we know our goal, when we focus on our Guru, we lose ourselves and surrendering is to lose oneself as Swami Vishwavijayananda taught us yesterday. So I want to encourage everybody, when you feel lost, when you feel you're complaining, when you feel pain, when you feel discomfort, just focus, remember your goal, focus on your Guru and lose yourself. So that was my lesson, what I experienced, which means that if I only focus on my Guru and not on myself... I didn't feel anything that could harm me or hurt me and I got to my goal: I finally ended up in the water. So I thank everybody to be able to share this experience with my Satguru and I hope that everybody can once experience a situation where you can definitely say, ‘At that moment I lost myself.’ Thank you very much and OM Namo Narayanaya!"